What's the Difference Between a Facebook Post and a Facebook Ad? Facebook may only be fourteen years old, but it has already completely changed how companies interact with their customers. Facebook accounts for a full 18% of online global advertising revenues, and 7% of all media advertising revenues. Customers expect companies to have a Facebook presence, keep their profiles up to date, and continue to woo them. Customers want to interact with the companies they purchase goods and services from on social media, and while Twitter, Instagram, and other sites are gaining traction Facebook remains the dominant player. 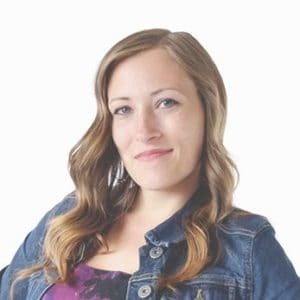 So how can you use Facebook to connect with your customers? We will walk you through the process in this post. Also, don’t forget to read our other post on how your business can take advantage of social media. First, you need to have an active Facebook presence and maintain it. Be active, engaged, and current. If your page is lucky enough to be stumbled upon by a potential customer make sure you actually give them content to consume. Make sure your hours, address, name, and phone number are all up to date and accurate. Bring your branding efforts over to Facebook, and make sure your profile picture is well chosen and up to date as well. Make sure the content you post is content that your audience will actually want to engage with. After the recent Cambridge Analytics fiasco, Facebook stepped up their game and shifted their primary focus to fostering more meaningful interactions. The social media landscape is constantly shifting and changing, so it is crucial to stay up to date with how Facebook presents content to its users. There are two types of Facebook posts: Organic and Boosted. The best posts are those that customers find organically. Organically, in this context, means that the customer has seen the post without you having to advertise to them in order to earn their business. Unfortunately, organic reach has begun to decrease, and will likely continue to trend downwards. Facebook is mercurial and is continuously changing and updating its news feed algorithm. Facebook’s most recent update to their algorithm focused heavily on “connecting with people and less about consuming media in isolation.” This change gives more weight to person-to-person interactions and has made it more difficult for companies like yours to reach your audience. To counterbalance this, you may want to consider boosted posts. Typically you can expect only a small number of your followers to see your organic updates, and an even lower percentage of those will interact with those posts. Boosting your post allows it to be seen by a larger audience, tipping the odds of an interaction in your favour. Boosted posts are particularly useful for promoting events or fundraisers, and are best used when you are looking to increase engagement with a specific post as opposed to directly selling a product or service. For example, say you own a bakery that specializes in cupcakes. A good boosted post might be one that advertises your grand opening (cupcakes are buy one, get one free!) or a fundraising event ($1 from every cupcake sold today will be donated to your local food bank). Yes, you are still selling cupcakes, but the focus is on the post about the particular event (the grand opening, or the charity fundraiser), not on directly selling cupcakes to your customers. Boosted posts should be used effectively. It may be tempting to press that big blue “Boost” button every time your company publishes a post, but you should make sure that you’re not wasting valuable advertising dollars on posts that are unlikely to be interacted with or shared. Facebook ads work differently than Facebook posts, so make sure you adjust your marketing strategy accordingly. Ads are the best way to capture the attention of your target audience and gently steer them towards your website. 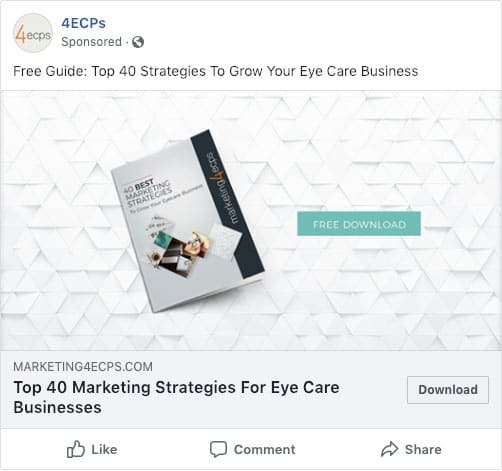 Facebook ads cost more than Facebook posts, so you will want to make sure you are getting the most out of your money by targeting the right people. One way you can better hone in on your target audience is by using lookalike audiences. 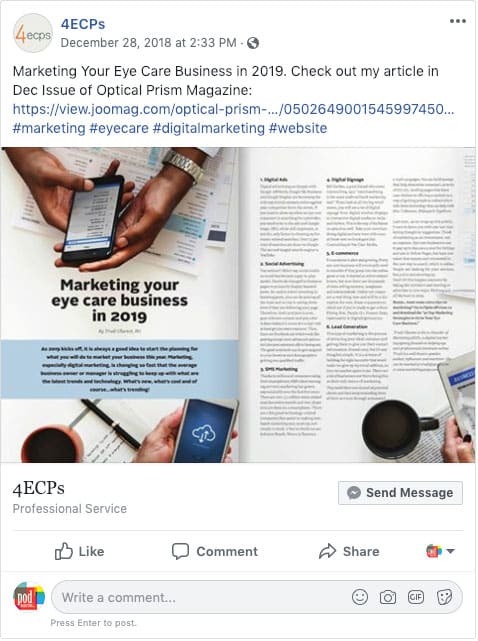 You upload a list of your current customers and Facebook will use that list to try and capture customers that are similar but new. Ads are a great way to get creative when it comes to showcasing your brand. Think about what sort of Facebook posts and ads you find the most engaging. Ads that feature videos and carousels catch our attention because they move, but even a simple still image can be incredibly striking. Choose a medium that fits with the message you are trying to send to your customers. Facebook has a seemingly endless supply of ad types, so take the time to look through them and find the one that really suits your needs best. Have a clear goal in mind before you start to create your ad. If you can’t decide what you want your audience to do (share? comment? buy?) then your audience won’t know what to do either. You should always give your audience a clear call to action (CTA) such as asking them to like your page, even if the goal of your ad is only to build brand awareness. Once you have your ad ready to go make sure you proofread it before you post it. You don’t want your top comment to be someone fixing your spelling or grammatical errors for you. You should also double check all of your links before you make your ad live. You are creating an ad to drive traffic to your website, not to that funny cat video your coworker sent you. In order to decide how much money you are willing to spend on Facebook ads you first need to be able to tell if your ads are giving you a good return on your investment. The best way to do this is to track your conversions using Facebook Pixel. Facebook Pixel will allow you to measure how effective your ad is, and also helps Facebook’s algorithm learn who it should target with your ads. The best campaigns have a clear goal and a clear message. To start, let your audience know if you want them to interact with your page or post (liking/commenting/sharing) and then develop your strategy from there. If you aren’t sure which action will have the most impact, then choose one and test it. To help you decide whether you should choose a post or an ad I have compiled a small table weighing the pros and cons of each. Whether you choose to go with an ad or a post you should know what sort of ad is going to grab your audience’s attention and prompt them to act. Facebook has integrated itself into our lives, and the lives of our customers, in ways we never could have imagined. In order to reach your customers, you need to have an active Facebook presence and create ads and boosted posts that reach the right people and nudge them to act. Facebook can be intimidating, and sometimes it is tricky to keep track of what it’s algorithm is looking for, but as modern consumers spend more and more time on social media having a polished and responsive Facebook presence is key to the success of any business.